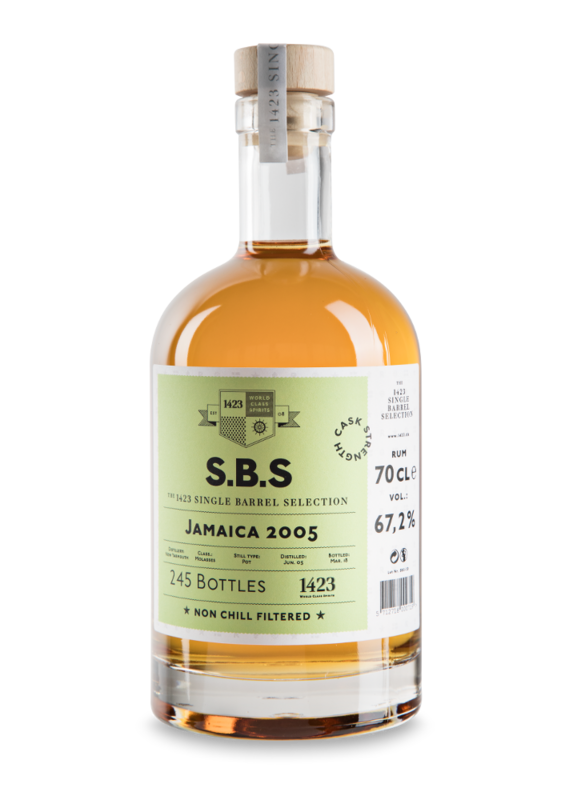 S.B.S Jamaica 2005 comes from a single cask which yielded 245 bottles. It is distilled by New Yarmouth in Jamaica. S.B.S Jamaica 2005 comes from a single cask which yielded 245 bottles. It is distilled by New Yarmouth. The story about New Yarmouth dates back to 1700s when John Carver owned Sugar Estates in the old Vere Parish. After his death, New Yarmouth passed on to families. According to ”1817 Jamaica Almanac”, New Yarmouth had more than 200 slaves once. Also, the sugar mill was extensive and the cane rollers were driven by wind power provided by a substantial stone wind mill tower. Nose: Dominant notes of fruits like bananas, coconut, apples, blackcurrant, raspberries, and vanilla. It is almost as sweet as candy. Palate: First a sweet palate where you will feel many of the notes from the nose. Then the alcohol comes through and strengthens the notes from the nose on the palate with lots of oak.